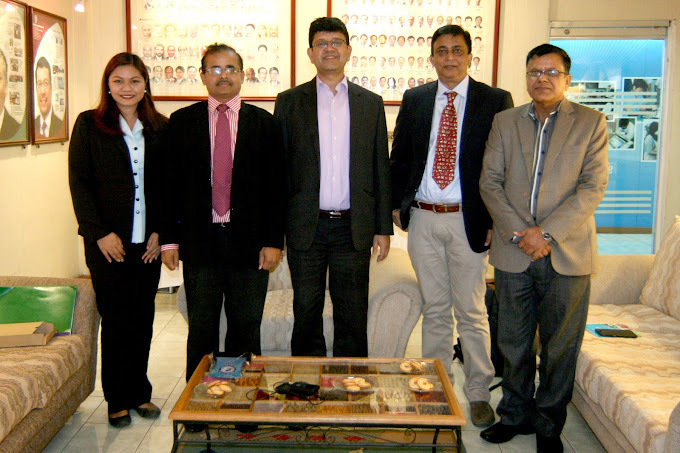 In continuation of fruitful partnership and collaboration, Dr. Tariq Kabir, President of Development Project Design and Services Limited (DPDS), Bangladesh visited the Colombo Plan Staff College (CPSC) on September 22, 2016 mainly to meet the new Director General Dr. Ramhari Lamichhane and explore joint project implementation. In attendance to the meeting were CPSC Faculty Consultant Prof. Dr. G. Kulanthaivel, Projects and Consultancy Officer Ms. Adrienne Abril, and Mr. Durga Prasad Upadhyaya, Director, Training Department of Training Institute for Technical Instruction (TITI), Nepal. The meeting generated ideas for further collaboration, an example of which is a program for Bangladesh Officials on Competency-Based Education Framework to be held in Bangladesh. CPSC will take the lead in preparing the program design and providing resource persons for this particular program. Dr. Kabir’s firm and CPSC have collaborated in the conduct of customized programs and study visits for Bangladesh officials in the past years. The CPSC officials and Mr. Kabir hoped for continued rapport between their respective organizations.